On April 27, Saturday, 9am we are running our first event. We are painting, gardening, cleaning up and throwing away junk at ‘The house of hope’, which houses pregnant women who have found themselves on the streets, without safe dwelling. 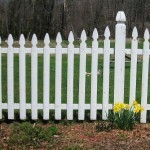 We are also funding a white picket fence for this project. Servants of United Love Incorporated is an incorporated body and has DGR status which stands for Deductible Gift Recipient. All donations given are tax deductible. Please email Patty Powell, Treasurer of Servants of United Love Incorporated on [email protected] if you would like a receipt for your donation. If you can’t be there on the day but would like to contribute to the efforts then transfer some money and be part of the answer.